Shipment | Trust planning | Trust Planning Co., Ltd.
※Shipping cost written on product pages are within Japan only. Shipping cost to overseas will be quite expensive. Please enquire about the shipping cost before purchasing. Regarding packing inquiries, please contact the delivery agecy directly. if the items are large, costly, fragile, or shipped with pallets. will arrive at the nearest SEINOU office from to your house. ageny are not responsible for it. However, “Cash on Delivery” is not available. If you’d like to use Japan Post, please write it in the notes section of the customer information form. ※We are not responsible for any losses or damage of goods during shipping. The postage of items are mentioned on product pages. Please pay the balance in case there are any shortages of shipping cost. We send the above products with a pallet by SEINOU EXPRESS. It can not be delivered to private names. It can only be delivered to your nearest SEINOU Office. We are happy to combine shipping in order to save your shipping cost. BUT the following will not be covered. ※If you buy our items at a different branch. ※If you buy our items with multiple accounts. ※In cases where the items are fragile. to the delivery agency or schedule a re-delivery by telephone. cancel the deal regardless of the reasons. Your review will be listed as “BAD”, and you will be blacklist. You will no longer be able to place a bid. let us know what date you can come to our office. Our business hours : 10:00 A.M. to 5:30 P.M.
We do NOT after-hours trading. Please refer to our corporate information on business hours. Reserve period is 7 days. The date successful bid is considered the first day. The successful bid price will be paid in advance. to our office to receive the items. Caliper/Disc Brake Rotors are in exclusive boxes. -Engine, transmission and heavy products are shipped with a pallet. from certain countries for limited items. ※Delivery dates can NOT be specified. When you buy more than 2 items, we can pack them together. It ususaly takes about 10-14 days to arrive once your order has been dispatched. Please consider the delivery time when you order from us. it may take longer than 14 days to arrive. please keep the package as it is and report to your nearest post office. available. Package should be delivered in 10-14 days by EMS. Please let us know if you haven’t received the package after one month. local delivery company in your country to begin investigation. It may take up to 1-3 months for investigation. services, and it may take longer than 10 days to arrive. Shipping cost for the big size parts (ie. panels) or the heavy parts (ie. Thse charges are the buyer’s responsibility. 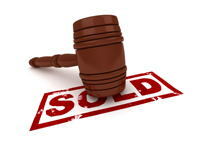 additional costs will be bidding or buying. We cannot refund the shipping cost once the product is dispatched. We can start the refund process only after we receive the returned products. we will cancel the deal regardless of the reasons. Your review will be listed as “BAD”, and you will be blacklisted. We can NOT ship our engines directly to foreign countries. to a port in your country.